To create a world class global content engine that fuels demand generation, increases brand awareness, and drives thought leadership. Create helpful, relevant content and deliver it to the right person at the right time. It’s important to think about the full spectrum of elements and repurposing opportunities for each content campaign that you create. ­­To be truly effective, your content must be focused on the questions customers are asking. In order to identify the conversation you should be having with content, you have to conduct the proper amount of research. In his session, Jason gave kudos to the TopRank Marketing team for the work that we have done to help LinkedIn Marketing uncover what it is that their ideal audience is looking for based on extensive SEO research. While most top of funnel content programs will contain big rock content (such as an eBook or whitepaper), it’s also important to consider the other smaller pieces of content that will accompany it. If you have a big rock asset such as an eBook, there are opportunities to create other forms of content and promotions that might include videos, webinars, blog posts and infographics. A well-structured content campaign will also include many opportunities for repurposing. A great example of how you can repurpose content is The Sophisticated Marketer’s Guide to LinkedIn included below. 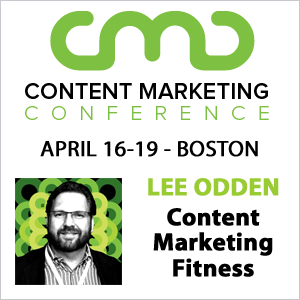 Great content marketers always set aside time to push the limits of their capabilities. In many cases, that includes testing new content formats. It could be that most of the content you’re creating is focused on blog articles, while your audience is actually very interested in video or audio content. Based on data, Jason knew that his audience consumes video, and a lot of it. Also, recent industry research has found that over 90% of B2B customers watch videos online. At last year’s B2B Marketing Forum, Jason decided to try his hand at creating some influencer driven video content to see how it resonated with his audience. While the first attempt was not as perfect as he would have liked, it was a step in the right direction. Start Building Your B2B Content Empire Today! These tips only scratch the surface of the helpful and actionable information that Jason shared during his session. However, it gives you a great starting point for planning, executing and adapting your B2B content strategy. What do you think are your biggest areas of opportunity for creating more impactful and measurable B2B content?